What Is Groundwork In Construction? Groundworks is a term used for the entire process of demolition, clearance and implementation of the fundamental foundations required to prepare a construction site for a new building. Typically, a groundworks contractor will be the first and last sub-contractors on a site. They will begin by clearing and preparing the site, digging the ground and inserting levels. The second phase usually involves excavation and the concreting of the foundations. Then they will usually be commissioned to install the required drainage system, installing all the new pipes and connecting same to any existing pipe network. After the building project is completed the groundworkers will return to the site to create the driveways, footpaths and sometimes the roads. Groundwork Services Provided By Reading Drain Services. The importance of good secure foundations to build upon is paramount. Our workforce are fully qualified, skilled, and experienced in all aspects of groundwork foundations. We cater for the excavation and pouring of concrete, utilising any of the foundation options listed above. 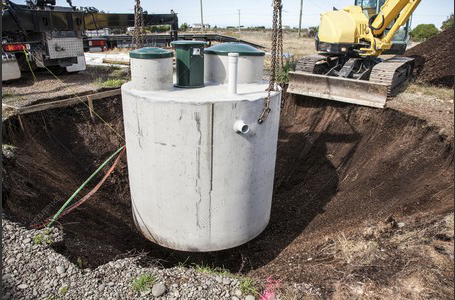 The installation of the correct waste management sewage system, sometimes known as foul water drainage, is vital not only for the site but also the environment. We have been installing foul water sewer systems and dealing with drainage problems and sewer repairs since we began our business and are proud of the expertise and knowledge we have built up relating to the most suitable systems to install leading to the achievement of many fully functioning sewage systems. The proper containment and diversion of storm and surface water is an important aspect for consideration when attempting the delivery of a dry site. Storm and Surface Rain Water systems come in many different shapes and sizes from small Aco Channels, Gullies and Catch Pits through to full-scale Harvesting Systems, Land Drains and Soakaways. We provide drainage systems in various forms, including, perforated clay pipework, gravel beds, leach fields and land sculpting. Here is a short list of some rainwater systems and services we offer. Here at Reading Drain Services we never forget that it is the finishing touches which make all the difference to the final appearance of your new driveway. Whether that final touch is created by square riven slabs, York stone, concrete blocks, or something more exotic such as natural Indian stone, maybe ceramic, or perhaps slate. We have access to the large variety of paving products on the market locally, and that together with our expertise means we are able to help with your selection and creation of any new driveway, patio or paved area. Below is a list of patio and paving types that we have provided to clients in the past. We are committed to the provision of high-quality construction and finish to all the hard standing areas, we create on our client’s behalf so that they are able to have pride in using them.